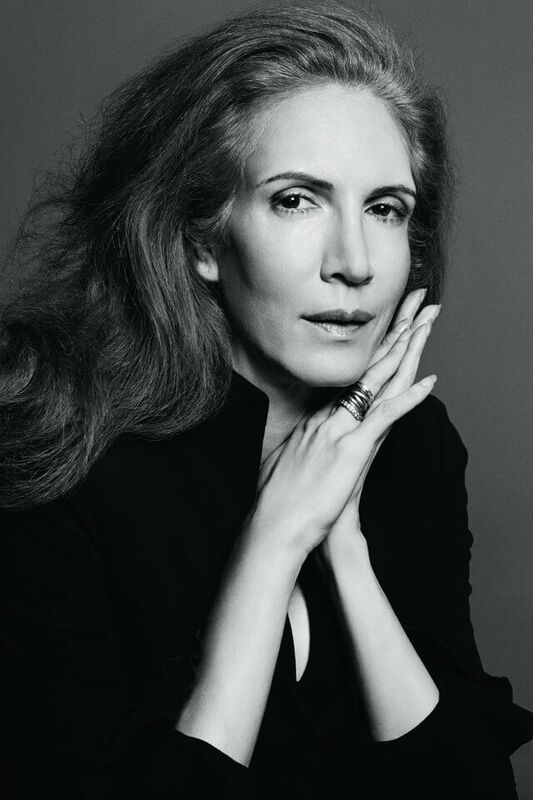 Founder Jami Morse Heidegger was born to create Retrouvé. As a member of the family behind the legendary Kiehl’s brand, Jami was only three years old when she first entered the lab to “work” beside her father and grandfather. Through Jami’s vision, Retrouvé represents over thirty years of experience, research and collaboration. When third-generation Kiehl’s heir Jami Morse Heidegger sold the family business to L’Oreal in 2000, she thought she was walking away from beauty for good. But the luxury of having time away ironically sucked her back in. “I had been traveling so much for work and had three young children at home at the time,” she recalls. “I wanted to take care of myself, but there wasn’t anything on the market that addressed all of my concerns. I wanted something that was anti-aging but with top-quality oils to address the dryness I felt living in California desert.” So, she enlisted her longtime chemist from Kiehl’s to help formulate several products to rejuvenate her own skin. The requirement: Create mixtures with the highest possible concentration of effective ingredients. Morse Heidegger’s friends began noticing her porcelain, blemish-free complexion — and asking for her secret. So she started doling out samples to friends and, with their enthusiastic feedback (and at the urging of her husband and business partner, Klaus Heidegger), agreed to bring her premium creams to the public. Thus, her now two-year-old line, Retrouvé, was born. Launched first in Paris in January 2014 and then a year later in the U.S. (exclusively with Bergdorf Goodman on the East Coast and Ron Robinson on the West Coast), the five-product collection includes two face creams, one face serum, an eye concentrate and a recently released rich, creamy cleanser. 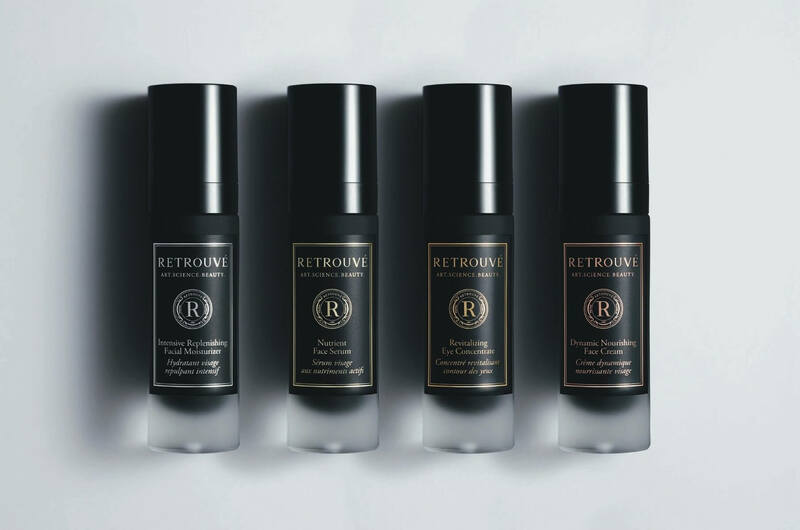 Formulated with potent levels of high-quality, often naturally derived ingredients — squalane oil, apple stem cells and white tea, to name a few — the range aims to be powerfully anti-aging and regenerating. Of particular importance to Morse Heidegger was the texture of her creams, which she describes as “goopy.” And rightfully so. The eye concentrate, the most viscous of the products by Heidegger’s account, has a gelatinous consistency and vaguely sweet scent — similar to fruit jelly. “Rubbing and pulling every day when you apply and remove your makeup, creams and cleansers is detrimental to the skin, and it’s cumulative,” Morse Heidegger explains about her choice to root the products in rich oil bases, particularly helpful for healing desiccated winter skin. 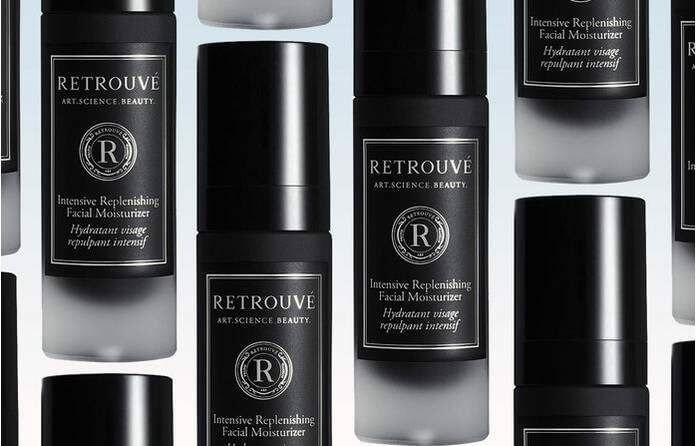 Retrouvé’s hero product, Intensive Replenishing Facial Moisturizer, is tailor-made for mature or dry skin. Imbued with the rejuvenating benefits of stem cells, and powerful vitamin-based actives, it is formulated to mimic the skin’s natural moisturizing properties. This luxurious gel firms and plumps the skin while providing unprecedented nourishment. Nutrient Face Serum is a nourishing vitamin supplement for the skin, artfully formulated to evaporate and leave behind only the benefits of its potent, enriching ingredients. 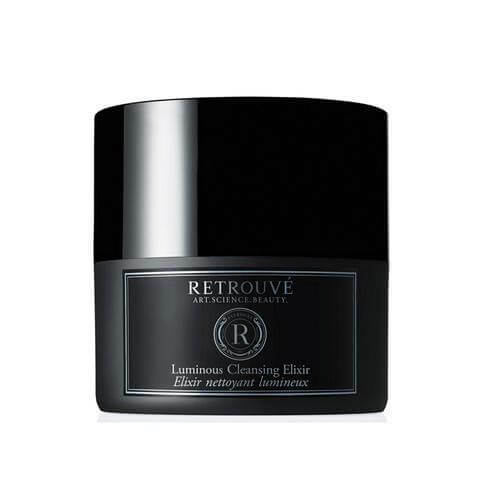 A high concentration of anti-inflammatory, brightening and collagen-promoting ingredients help smooth and firm. Soothing and gently moisturizing with a light, luxurious texture, this water-based serum is helpful for all skin types, especially for mature, normal to slightly oily skin. Harnessing the power of lamellar gel technology, Dynamic Nourishing Face Cream provides optimal hydration with powerful antioxidants and a non-greasy, luxurious texture. Ideal for sensitive skin, this classic, creamy moisturizer nourishes with a unique natural sugar-based technology to transport actives deep into the dermis while reducing irritation and inflammation. This revitalizing treatment is designed to hydrate, enrich and plump the delicate skin around the eyes, recreating the skin’s natural healing processes. Formulated from a rich, water-free concentrate, it gently moisturizes via a powerful fusion of pharmaceutical-grade ingredients with protective properties and antioxidants. A luxurious balm to stimulate collagen, improve skin tone and reduce the appearance of fine lines.